Today is a momentous day for Bike EXIF. For almost ten years we’ve been showcasing the world’s best custom motorcycles, selecting the crème de la crème to satisfy our readers’ voracious appetites. 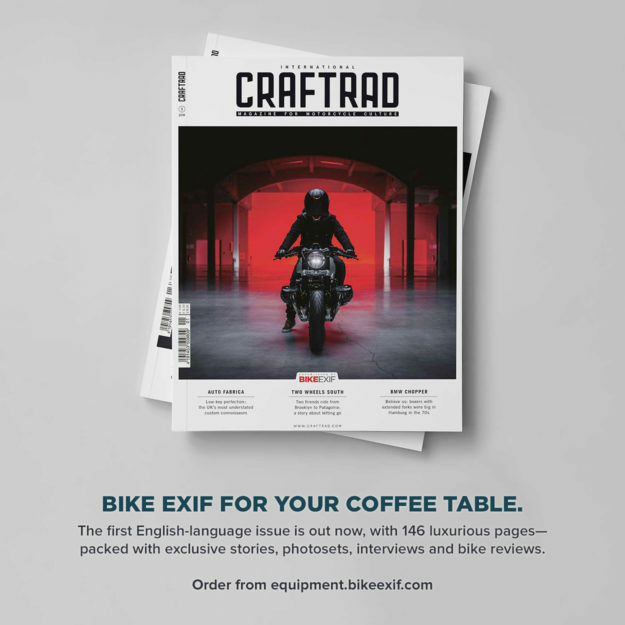 We’re now extending Bike EXIF into print, with the help of our friends at CRAFTRAD. 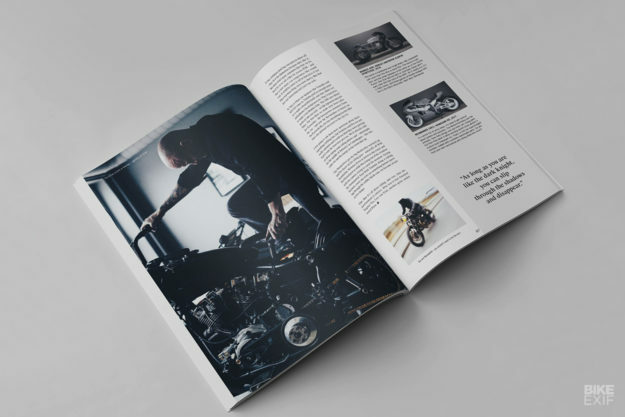 We’re launching a beautifully designed, biannual motorcycle magazine focused on the cutting edge of motorcycle culture. 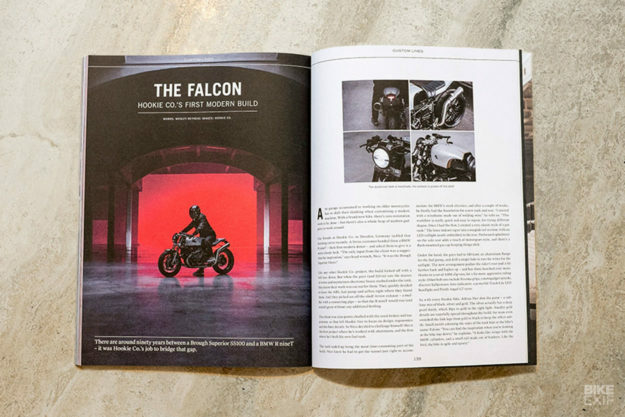 It’s 146 luxurious pages packed with exclusive stories, photosets, interviews and bike reviews. 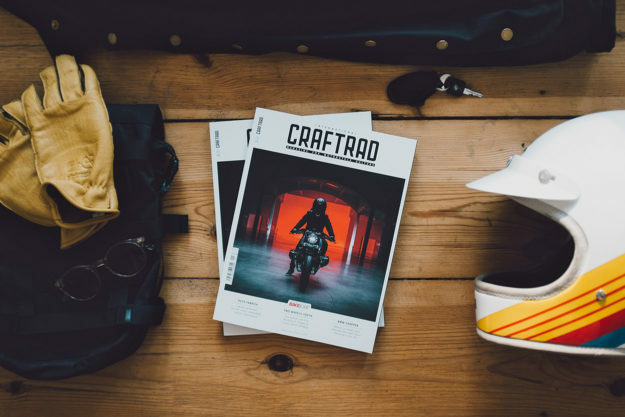 Why are we partnering with CRAFTRAD? Because in just three years, the German-language magazine has become the leading voice of the alternative custom scene in Europe. 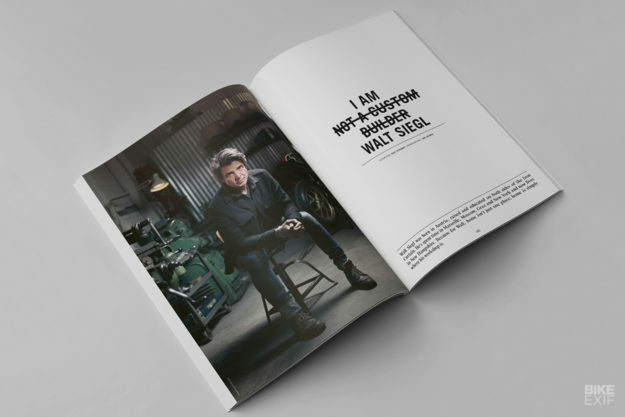 Publisher Jan Zühlke and his Berlin-based team know how to create a high quality product. 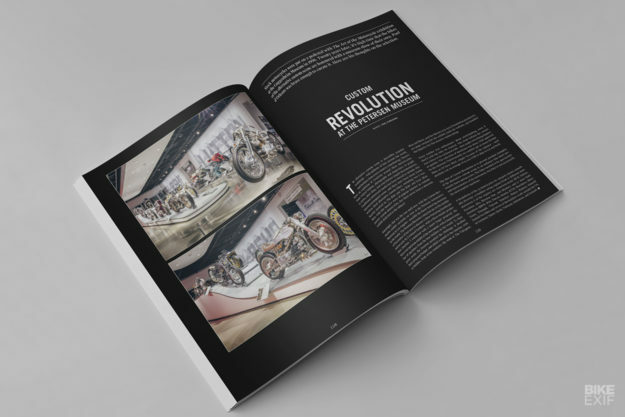 With this magazine we want to share a love for motorcycles, and share stories of inspiring people, their bikes and their travels. Here are some of the highlights from the first issue. The Falcon. 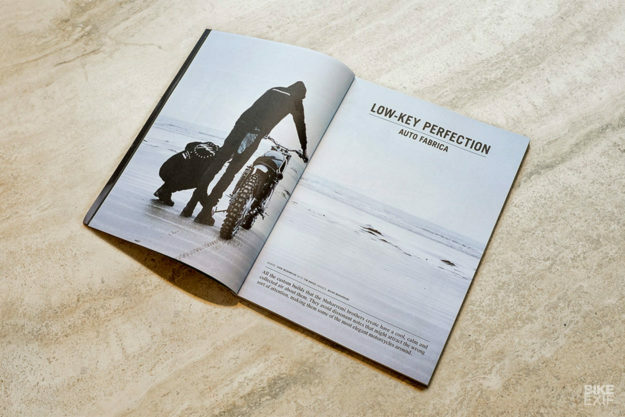 An exclusive look at the latest build from Hookie Co, the cover star of our first issue. I Am Walt Siegl. An interview with the creator of the Ducati Leggero series and an insight into his complex mind. Caution Never Led To Greatness. The turbulent story of the Suzuki Katana and designer Hans A. Muth. Twilight Zone Iceland. Join famed photographer Sam Christmas as he rides deep into the gloomy otherworld of the most sparsely populated country in Europe. And The Outlaws Rode BMW. The bizarre tale of choppers, rockers and bike gangs in 1970s Hamburg. Stealth Fighters. The Wrenchmonkees reach their tenth anniversary this year. Nicholas and Per reveal the ups and downs of running a world-famous custom shop. New And Noted: Motorcycle Gear. Ten of our favourite new products designed for discerning motorcylists. Not All Who Wander Are Lost. 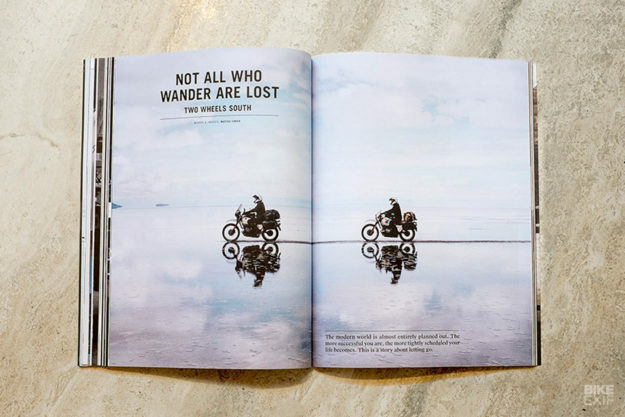 Designer, maker, motorcycle rider and Behance co-founder Matias Corea catalogs his seven-month road trip from Brooklyn to Patagonia—and the rewards of accepting risk vs sticking to routine. 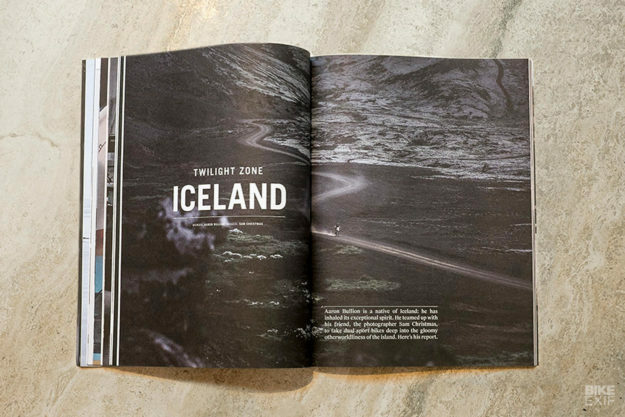 The magazine will start shipping from our London-based store on 18 May, via Royal Mail international service. Order your copy here.